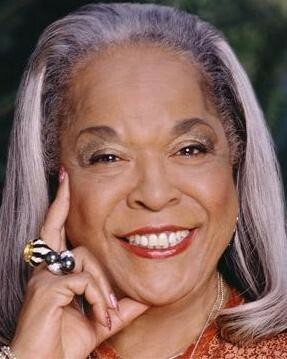 Della Reese has signed on for a role in ABC's pilot "Hallelujah," a project from "Desperate Housewives" creator Marc Cherry set in a community being ripped apart by forces of good and evil. The drama unfolds when a mysterious stranger, played by Jesse L. Martin, arrives in town. Donal Logue has signed up to play Rye, a hardworking but unlucky diner owner, while Terry O'Quinn will play his nemesis, a wealthy but corrupt man called Del. Reese, best known for her role as Tess in "Touched by an Angel," will play Del's friend, who is described as mean and manipulative, according to Deadline. Reese most recently appeared in an episode of "Detroit 1-8-7." "True Jackson, VP" star Robbie Amell has signed up to play Del's son. The project will also feature Frances O'Connor, Arielle Kebbel and Zoey Deutch.